Description: Triathlon Swimming take the athletes during swim session and video analyze their stroke – All of the testing are specifically designed to elicit improvement. Learn how to give the athlete/or yourself significant improvement. Stop coaching/training without real, quantifiable feedback and learn how to have training and fitness benchmarked. Description: Essentials of a Tri – Bike fit: There are just a few reasons why you should get bike fitted. A tri bike fit is essential when you put aero bars on your bike, whether you have a standard-geometry road bike or a steep-angled triathlon specific bike frame. Body position is, by far, the most important consideration when it comes to reducing aerodynamic drag, so you want to ensure you are fit correctly to maximize the benefits of an aero position. At the same time, it is crucial to maintain power output and comfort. As triathletes, we also have the need to run strong off the bike and it has been proven time and again that proper positioning, utilizing a tri bike fit, will facilitate this. Description: Have you had a bad race? Have you bonked before? Don’t know what to eat during training and race day? The following session will consist of the requirements the body needs to fulfill its needs during training and race day. Description: Training with power means that you are utilizing the latest tool in the cycling industry today in order to maximize your athletic potential. Train efficiently so that your best fitness peaks at your goal events. Every top cycling performance has been aided by the use of power meter training technology Tour de France winners, Hour records, Track records, HPV records. Description: Yoga for Triathletes is a valuable course in which encompasses the variety of yoga postures and exercises that focus on strengthening and stretching to help improve your fitness in triathlon sports. With minimal or no equipment needed, this session is suitable for all levels and is relevant to all sports. You will need to bring a mat and a towel. Description: The clinic will help coaches/athletes to know what to bring (and what NOT to bring into the transition area) of a triathlon. Athletes will practice a short mock triathlon with an emphasis on efficient transitions between the sports of swimming, cycling and running. Description: Running Biomechanics and Efficiency for Triathletes provides an overview of issues that frequently arise in the context of the sport, with an emphasis placed on how athletes and coaches should respond to specific situations based on the athlete and its circumstances. 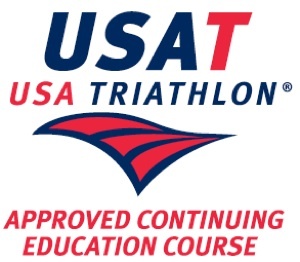 This course will provide coaches and athletes with a basic understanding of how running biomechanics applies to the Triathlon sport Emphasis is placed on providing drills and training that reduce the risk of athletes overcoming any injury. Hola. Volverán a hacer dicho curso en el 2014?